Voted the "Best Blanco Tequila" by Epicurious Magazine, Casa Dragones Blanco is a small batch, 100% Pure Blue Agave silver tequila, crafted to deliver the true essence of agave through an innovative process that focuses on purity, for a crisp, smooth taste that is ideal to enjoy on the rocks or in signature craft cocktails. From the headwaters of the Volcano of Tequila, the water used for Casa Dragones Blanco is exceptionally pure, natural spring water, enriched with the perfect balance of minerals. As it travels from atop the Volcano into the 70-meter deep natural aquifers, the water gathers essential minerals from the volcano’s rich soil. Finally, it is put through a proprietary process to yield the right balance of minerals, harmonizing perfectly with Casa Dragones Blanco tequila. 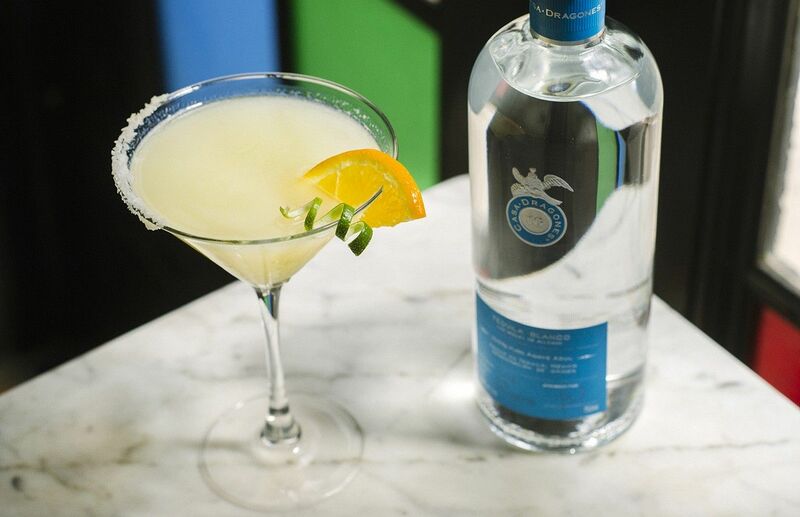 Watch as expert mixologists from the U.S. and Mexico craft signature cocktails inspired by the purity and unique tasting notes of Casa Dragones Blanco. Pour 2 oz. of Tequila Casa Dragones Blanco over two inch ice cubes.